Looking for something to do with your kids at the weekend? On a tight budget? These seven crafty ideas will keep your kids and your wallet happy and not once will you hear those dreaded words: "I'm booooored". Get your culture on with a trip to the Victoria Gallery & Museum. The friendly museum staff always go out of their way to welcome little ones, but Family Saturdays are a little more special. After a screening of a child-friendly movie in the morning, lunch is served in the cafe (you are also welcome to bring a picnic). The day continues with a themed craft session. There's no need to book a place: just turn up and have fun. Appreciation for art starts early in a child's life and Big Art for Little Artists at the Walker Art Gallery is a great way to build on your child's enthusiasm for all things artistic. As well as creating their own art, children can read books, play with puppets, chill out in the mood room and dress up as characters from famous paintings (or even as Queen Victoria if the mood strikes). There are usually other child-friendly events going on throughout the gallery, so it pays to check what's on if you plan to visit. If you're in the South Liverpool area, head over to the cafe at Otterspool Adventure Centre to check out the Crafting Table. There's a huge choice of crafts available. Your child might choose to make a princess tiara or a pirate hat, to decorate their own piggy bank, or to design their own tote bag. There are various sessions to suit all ages and availability: toddlers and preschoolers, open age, after school and holidays. From exotic flowers to superhero masks, the themed craft table at Underwater Street provides plenty of inspiration for budding artists and they can show off their creations in the parade. For those kids who like things on a grander scale, there's a paint a mini section where they can literally paint a car. Aprons are advisable. It's worth a trip to Underwater Street just for the art area, but there's plenty of other activities that will keep your kids occupied for the whole day. Activities at the Bluecoat Explore sessions are linked to the gallery's current exhibitions and artwork, so it's a great way to get your child interested in art. The sessions run on a drop in basis and there's no need to pre book. 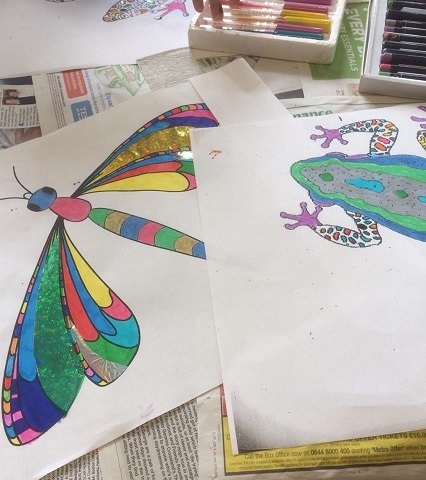 Just turn up and one of the experienced and friendly Explore leaders will help you and child get involved with activities such as drawing, painting, photography and animation. The Craft Corner in Garston is a great little place to take the kids and let them try their hand at decorating pottery. They can choose a mug, a plate or a dinosaur or cupcake shaped money box and show off their design skills. Jewellery making and canvas painting are among the other craft choices on offer. Refreshments and bottle warming facilities are accessible on site. Led by two professional artists, Creative Balance Art Club Workshops offer a new project theme each month for 3 to 12 year olds. Your child will work with materials such as charcoal, clay and modrock to create pieces linked to subjects like amazing animals, Leonardo Da Vinci and story book illustrations. Sessions take place in various locations throughout the week. 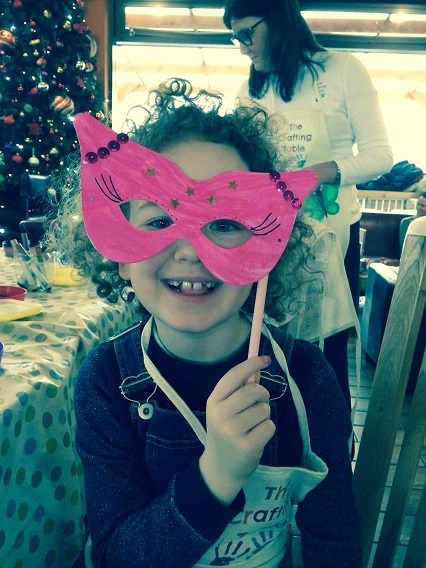 These craft sessions in Liverpool are a great way to spend time with your kids at the weekend, to inspire their artistic streak and to generally have a great time. If you'd like articles like this to pop straight into your inbox, subscribe to Linda Forshaw below.